Liselda Parantar lives in Canbanua, Philippines, with her husband and their two children. To help support her family, Liselda opened her own convenience store, selling groceries and snacks to locals in the neighborhood. But admittedly, Liselda opened the store with little experience in managing a business and knew she would have to learn quickly before she found herself in over her head with her good intentions backfiring against her family. But with little to spare in the family budget, there wasn’t much room for risk if the store fell too far behind. When her mother introduced her to the programs offered through Opportunity International, Liselda’s fears of letting her family down began to subside. She was given valuable financial training and a small loan to invest into her store. Liselda swiftly applied her lessons to her operations management: purchasing in bulk at lower prices, providing a greater variety and selection of goods to increase customer interest, and improving overall efficiencies. 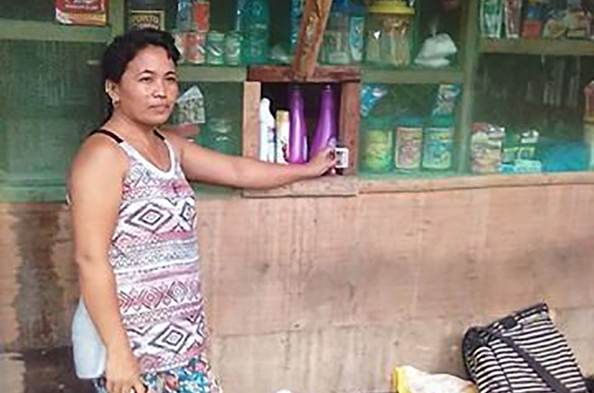 With the benefits of the improvements Liselda has been able to set aside profits for her kids’ educational savings, and she’s already planning to expand her business enterprise.